If you have questions about workers’ compensation benefits, review our workers’ compensation FAQ, then schedule your free consultation in Great Falls, MT, to learn more. Get help when you have been injured on the job from Murphy Law Firm.  Attorneys Thomas J. Murphy, Charla K. Padlock, and Matthew J. Murphy offer injured client representation in Montana. Contact us today for more information. When you have been injured on the job, you deserve justice. Because we only represent injured people, you can count on superior service in your time of need. Our attorneys advocate for injured workers’ rights beginning with the legislature process and have the knowledge and determination needed to protect your rights as an injured employee. Depend on us to pursue full legal redress as we press for justice. 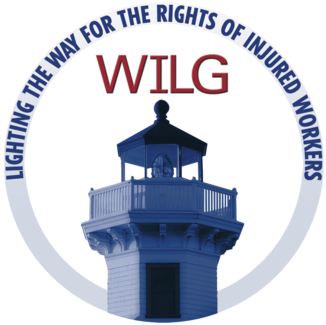 Workers’ compensation is a no fault insurance program. Not only must employers’ have workers’ compensation insurance, it becomes employees’ exclusive remedy in the event they are injured on the job. Workers’ compensation provides two main benefits. It gives injured employees a guaranteed source of compensation for their injuries. It gives employers’ immunity from lawsuits for most injuries. Typical workers’ compensation statutes allow only employees to file claims stemming from work-related injuries. Spouses and dependents are not allowed to file loss of consortium or loss of services claims for injuries. In the case of a work-related death, however, spouses or other dependents may generally seek death benefits and burial expenses under the workers’ compensation system. Report all on-the-job injuries or occupational diseases to your supervisor, insurer or employer as soon as possible. You must give notice within 30 days after the occurrence of the accident (one year from the date you knew or should have known your condition from an occupational disease.) The notice must include time and place where the accident occurred and the nature of the injury. We recommend you report minor injuries to your employer whether or not you receive medical treatment. You must submit a written and signed First Report of Injury (FROI) within 12 months from the date of the accident or occupational disease. You can submit this form to your employer, the workers’ compensation insurer or the Department of Labor and Industry. Upon receipt of your signed FROI, the insurer has 30 days to accept or deny your claim. If you are injured on the job, you should seek prompt medical attention. The claimant initially has the right to choose the treating physician. Be careful about who you see initially, because that doctor, if he or she is willing, will become the treating physician. What if the insurance company has denied my claim for workers’ compensation? If the insurance company has denied your claim, you must timely appeal the denial. First, find out the reasons for the denial. The letter denying your claim will be your best initial source of information. Sometimes denials happen for reasons that can be explained or taken care of without the need to go through the extensive process that appeals typically entail. For instance, maybe you did not complete a workers’ compensation claims form correctly. Or perhaps, the insurer did not have enough information, so the insurer denied your claim. Often insurers issue denials for more than technicalities or lack of information. In those cases, you need to consult our experienced workers’ compensation attorney’s at Murphy Law Firm to discuss your claim. Murphy Law Firm offers a free initial consultation to discuss your claim and help you decide how to proceed. You should consult Murphy Law Firm quickly after your claim is denied. If your injuries occur over more than one work shift, you have suffered an occupational disease. For a claim for an occupational disease, you must file a claim within 1 year from the date you knew or should have known that your condition resulted from an occupational disease. What is considered a job-related injury? Your injury must arise in the course and scope of your employment to be compensable under the Workers’ Compensation Act. This does not mean that the injury must have occurred at your normal place of work. The essential test of whether your injury will be covered is whether it is job related and whether it was required or essential for your job. Logging was America’s most deadly job in 2012 at 127.8 deaths per 100,000 workers compared to 3.2 per 100,000 workers for all occupations. There were nearly 3 million on-the-job injuries in 2012, or 3.4 per 100 workers. Another 4,383 Americans died while working. Transportation incidents are typically the leading cause of workplace injuries, accounting for two of every five work fatalities in 2012. Working Safely is No Accident is designed to offer workers, primarily those ages 13-24, conveniently accessible information on common workplace hazards and workers’ rights to a safe workplace. The USW Chemical Safety application allows users to search a Material Safety Data Sheets database for information on workplace exposure limits, health hazards, workplace controls, personal protective equipment, handling and storage and emergency procedures related to hazardous substances in the workplace. No Jack is an edgy, youth-focused website that expands the reach of the Montana State Fund’s safety and health message to a target audience of 16-24-year-old workers by educating them and their employers about workers’ rights to a safe and healthful workplace. Ergonomics is a complete mobile workplace health solution that offers ergonomic equipment setup advice, a variety of workplace specific stretching exercises, and programmable reminders to help time breaks and prevent musculoskeletal injuries.